The next meeting of the Pattaya City Expats Club (PCEC) will be on Sunday, April 5. Everyone is warmly welcome. Each week, the Club invites an interesting speaker to talk on a subject of interest to Expats. The Club meets every Sunday morning at the Tavern by the Sea Restaurant located on the north end of Beach Road (part of the Amari Orchid Resort). The program starts at 10:30 a.m. with a buffet breakfast available from 9:00 to 11:00 a.m.
A Joint Chambers Eastern Seaboard Networking Evening will be held at the Centara Grand Mirage Beach Resort Pattaya on Friday, April 24 from 6.30 – 9.00 p.m. (last drinks served at 8.30 p.m.). Price of admission is THB 400 for members of BCCT, AustCham, AmCham, GTCC & SATCC and THB 800 for non-members (cash payment at the door). For more information and reservations, go to chamber websites: www.bccthai.com, www. satcc.info, www.austcham thailand.com or www. amchamthailand.com. The Bangkok Chess Club Open 2015 will take place from 12-19 April in the ballroom of the Dusit Thani Pattaya hotel. Over 300 players from 43 countries have already registered for the event, including Grandmasters and former champions Nigel Short, Jan Gustafsson and Francisco Vallejo Pons. Spectators are welcome. For more information, go to website: http://bangkokchess.com. A traditional relic (Sarira) worshiping ceremony and parade will be held in Pattaya on Monday, April 13. Residents and tourists can participate in a water sprinkling ceremony to bring good health, luck and fortune and also follow the parade starting at 7:00 from the Sanctuary of Truth to Pattaya School 8, Pattaya School 7 and the Pattaya Floating Market. The parade will head back to the Sanctuary of Truth at 17:00. The event marks the first day of Songkran, the Thai New Year celebrations. Pattaya City and the Pattaya Bicycle Association invite cycle enthusiasts to join the annual Pattaya Mountain Bike Challenge 2015 on Sunday, April 26 at Pratamnak Park, South Pattaya. For more information, call Manoch Nongyai of the Pattaya Cycling Association on Tel. 081 315 5773. The owners of Shenanigans Jomtien have introduced a fabulous new menu. In addition to their famous UK, European selection, you can now enjoy real Indian meals with Mr. Ronnie, Indian chef, famous for his restaurant chain established for over 12 years on the Islands of Koh Samui and Phuket. The Indian Curry Club is Ronnie’s first on the mainland, and his new Tandoor kitchen is open within the Shenanigans kitchen. The usual extensive menu is available daily while Thursday nights will be dedicated to the Indian Curry Club. For more information, call 089 021 4502. Hilton Pattaya presents an Easter family brunch buffet at the Edge restaurant which will be held on Sunday, April 5. Guests can enjoy a sumptuous Easter brunch with special menus, kids’ activities and Easter giveaways to celebrate this memorable day. 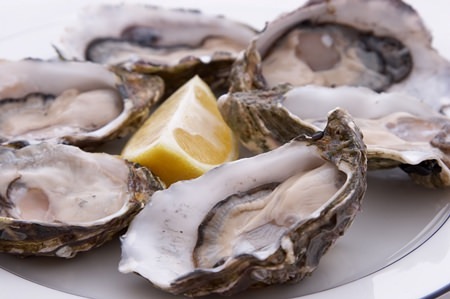 Guests will be indulged by the restaurant’s Sunday brunch regular menu along with live cooking and dessert stations featuring classis Easter favourites such as hot cross buns, Easter chocolate cake and much more. The Easter brunch is priced at THB 1,400 per adult, THB 700 for children ages from 6-12 years and children aged below 6 dine for free. Guests who enjoy fine wines can also opt for the wine buffet at an additional THB 1,100 per person, available from 12 noon to 3:30 p.m. at Edge on level 14. All prices stated are inclusive of service charge and prevailing government taxes. For more information or reservations, call 038 253 000 or email [email protected] hilton.com. All you can eat Dim Sum at The Peak Chinese Restaurant. The Souk Restaurant & Bar has been built on the concept of an open-air marketplace with its origins coming from the ancient Middle East. The restaurant offers delicious Thai & international cuisine in an intimate but charming atmosphere daily from 08.00 a.m. to midnight. The Souk is located at the Atlantis Condo Resort Pattaya, Jomtien 2nd Rd. For more information or reservations, call 038 236 027 or 091 193 1777. Seafood & BBQ buffet dinner at [email protected] Design Hotel Pattaya. ‘Salmon Season’ at Havana Bar & Terrazzo Restaurant. Havana Bar & Terrazzo Restaurant introduces a ‘Salmon Season’ promotion throughout April and May. 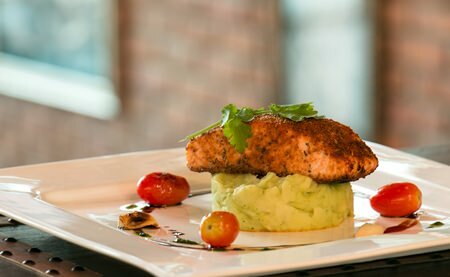 Savour 4 menu selections from the Atlantic Salmon seasonal special including Salmon Papillote with spinach, Spicy Cajun Salmon with pesto mashed potatoes, Deep Fried Salmon and Tiger Prawn served with mixed salad and Phad Krapow Salmon served with steamed rice. Priced at THB 550 net. 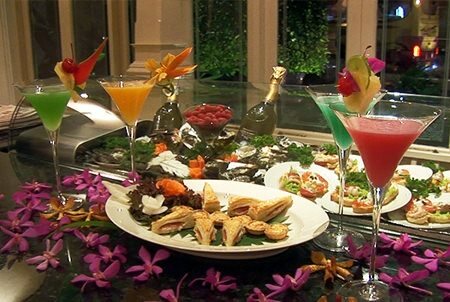 Havana Bar & Terrazzo Restaurant is located at the Holiday Inn Pattaya. For more information or reservations call 038 725 555. Ruffino Restaurant offers Monday to Wednesday from 7-9 p.m. a homemade pizza “buy 1 get 1 free” promotion and Chef Luca has created a delicious rustic 3-course set dinner perfectly paired with a carafe of red or white wine for THB 888 net per person, only available on Thursday’s from 6 to 10 p.m. Also every Thursday is Ladies Cocktail night- pay only 250 baht for free flow cocktails and for the gentlemen all local beers only 100 Baht. 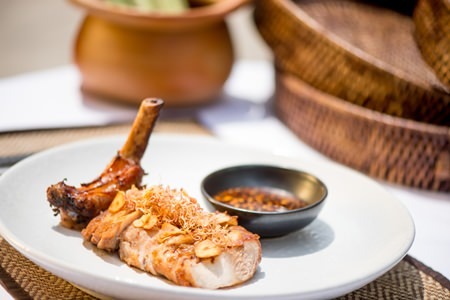 At Oceana Restaurant from 6:30 to 10 p.m. daily enjoy a 4-course Royal Thai Cuisine set dinner for THB 777 net, including a glass of red or white wine. A superb mid-week buffet featuring tasty European favourites is also available every Wednesday from 6.30 p.m. – 9.30 p.m. priced at THB 599 per person (add THB 400 for a free flow of beer). Afternoon Tea is also available daily from 3-5 p.m. at the Espresso Bar for THB 700++ per set for 2 persons, including scones and clotted cream, freshly made sandwiches, cakes, tea and coffee or try one of the 17 wines available starting at 190 baht per glass with a complimentary snack. All outlets are located at the Centara Grand Phratamnak Pattaya on Pratamnak Road, Soi 5. For more information and bookings call 038 306 337 or e-mail: supparatchpi @chr.co.th. Starz Diner at Hard Rock Hotel Pattaya offers a selection of Pan Asian and continental flavors, from the griddle, BBQ char-grill, pan, fryer, steamer, wok, and tandoori oven, as well as some really delicious desserts. Sat: THB 850++, Sun-Fri: THB 750++ food only. Sat: THB 1,080++, Sun-Fri: THB 980++ including free flow drinks. Children under 11 years of age eat for free. Show time for live music is from 6:30 p.m. – 10:00 p.m. For more information call 038 428 755-9 or go to http://pattaya.hardrockhotels .net. BBQ seafood buffet at Elements Restaurant. 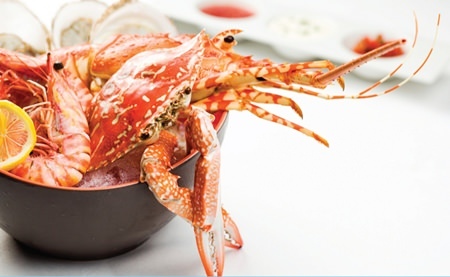 Aroy Seafood Buffet @ Elements Restaurant: Sample fresh seafood BBQ items, with tempting desserts and delicious drinks in the marvelous ambiance of Elements restaurant at Sheraton Pattaya Resort. The buffet includes favorite BBQ items such as pork ribs, marinated chicken, sausages and skewers. Price: THB 1,399++ (food only) per person and available every Saturday from 6.00 p.m. – 11.00 p.m. For more information or reservations, call 038 259 888. New culinary delights at East Coast Kitchen and Café G.
Springtime at Breeze Spa: Enhance your chosen massage technique with exotic botanical butter with lovely hints of rose, champee and frangipani flowers. Here is one treat to revive yourself and get your glow on. Book a two-hour treatment and receive a 10% discount and complimentary limited edition perfume gift. For more information or to make a reservation, contact Breeze Spa at Amari Pattaya on 038 418 418 ext. 840 or visit www. breeze-spa.com. Enjoy a customized treatment for mind and body at eforea spa, Hilton Pattaya: A 60-minute head massage with warm coconut oil dispels stress, relieves tension in the neck, head and shoulders, and promotes healthy hair. Priced at only THB 1,800 per person. The Face and Body Sensation package involves a body exfoliation therapy using a cleansing Thai tamarind scrub followed by the meditation massage and a signature customized cleansing facial treatment for a totally relaxed feel. Price starts from THB 6,400 net/person. Available daily from 10 a.m. – 10 p.m. For more information, call 038 253 000, email [email protected] or visit eforeaspa.com. Amari Pattaya has introduced its ‘Suite Life Package’, available from now until 29 February 2016. Upgrade to a Junior Suite Ocean View room and enjoy Horizon Club benefits of private check-in and check-out and complimentary cocktails from 17:30 to 19:30, plus special welcome chocolates and sparkling wine. Other package benefits include a 60-minute Breeze Spa signature mood massage, a 20% discount on additional spa treatments, and a 10% discount on food and beverages (excludes Mantra Restaurant & Bar, room service and mini-bar). For more information contact Amari Pattaya at 038 418 418 or www.amari.com/ocean-pattaya. The Alangkarn Lantern Festival is currently being held from April 1- May 31, 2015. Highlighting the Sichuan province of China, the festival features amazing sound and light shows, acrobatic displays and a 3D photo zone along with many more attractions. Open from 17:00-23:00 daily at the Alangkarn Theatre in Pattaya. Tickets are available at 150 THB each. Call 090-1292316. Pattaya Players amateur dramatic society is holding an audition for its latest stage production “Bouncers” by John Godber on Monday, April 6 at the Eastern Grand Palace hotel on soi Khao Talo, starting at 7 p.m. For more information, go to website: www.pattayaplayers.org. The A-One Royal Cruise Hotel on Pattaya Beach Road will be hosting a Drink Dive Duck-Bikini Pool Party on April 17 & 18 from 5 p.m. with a great line up of guest D.J.’s to keep the party rocking from sunset till well past midnight. 2-day passes costs 1,500 baht. For more information, call 038 259 555 Ext 4236. The Royal British Legion Thailand meets the last Saturday of every month from 2 p.m. at the Tropical Bar on Soi Khao Noi (Watboonsampan near the Temple entrance) in East Pattaya. You do not need to have served in the Armed Forces to become a member and can join in the many social events arranged throughout the year. The Legion’s primary aim is the care and welfare of those who have served and/or their dependents. Should you be a former UK service man or women in need of help please contact us in confidence at: [email protected] rblthailand.org. Should you wish to join our branch, please contact: [email protected] rblthailand.org or for general enquiries send email to [email protected] .org, www.rblthailand.org.